There are many ways to support the Miller Theater. Help make the Miller Theater's encore a reality. Consider giving however you can. 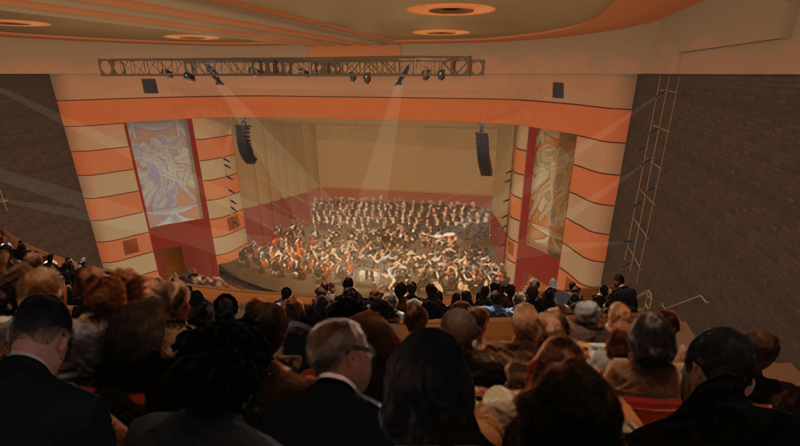 In the Fall of 2011, the historic Miller Theater was given as a gift to Symphony Orchestra Augusta from local resident, business person, and philanthropist, Peter Knox IV. The Miller Project was born, with its future as a vibrant venue of music, performances, and the home of Symphony Orchestra Augusta (SOA). Learn more about this exciting restoration project. The Miller Theater restoration project has been launched. Progress continues though we need your support. Explore some of the many ways that you can help us restore an Augusta, Georgia gem. The time for the Miller Theater has come, and you can be a part of its permanent history. For some, the theater is a reminder of cherished memories from years past; for others, it is a place where future memories will be made. The Miller is a treasure that adds to the beauty of our city, and your name, the name of your business, or that of a loved one can become a part of the fabric of this iconic theater. 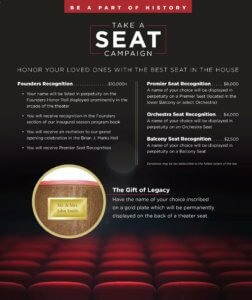 We encourage you to give the gift of legacy and "Take A Seat" in Augusta's new home for the performing arts. For more information or questions, please contact Jillian Stewart at 706.826.4705 or jillian@soaugusta.org. The Miller Team has demonstrated the potential of this incredible space by working with talented filmmakers to showcase the soul of the theater. This first production, created by Mark Albertin, tells the story of the Miller and the evolution of a new entertainment district. It shows why this project is so vital for downtown Augusta. The Miller Music Revue - Band of Kelleys -"Hearts Strings"